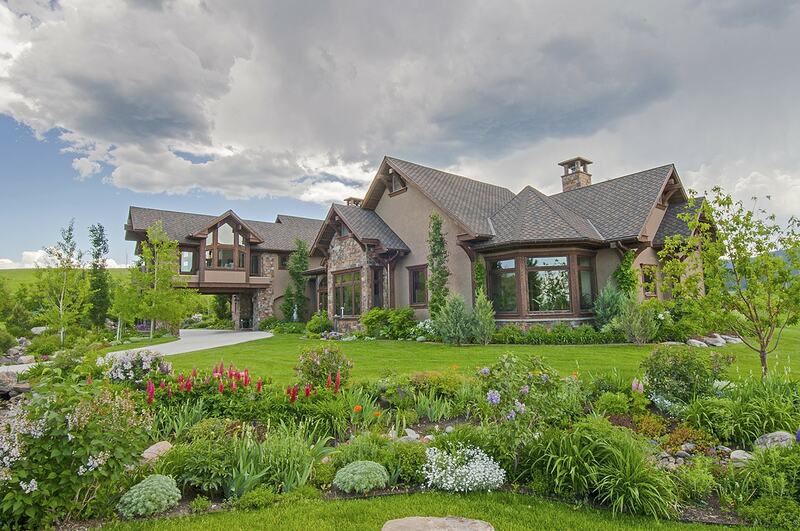 How Do I get My Home Ready to Sell in Bozeman? Home » How do I get my home ready to sell? Sometimes it takes only the first few minutes after a potential buyer walks into a house that we’re listing that the potent feeling hits: a powerful visceral reaction that says, “This is home.” It’s an emotional reaction that cannot be predicted or explained. It may be an intangible connection to the house or, more likely, the result of a seller properly preparing their home to show off its very best assets. Working with Stuart and Sally allows our select group of clients to take advantage of our experience in the areas of both interior design and marketing. We facilitate our sellers opening their own “discerning eye”? to envision how their property might be perceived by others. We are at your service to assist in “staging” a home for its most advantageous presentation. But the marketing process begins much earlier, by effectively attending to this checklist of items that should be completed in any home before it goes on the market. Clean up any debris around property. Make sure lawns and hedges are neatly trimmed and pruned. Clear away any dead plants. The entrance of any home makes the important primary statement about the rest of the house. Make the area in and around front door appealing, tidy and attractive. Repair any loose drains, window screens, and all other noticeable items around a home’s exterior. If it’s cluttered, clean and organize the area, throw out any unnecessary items stored there to create a more visually appealing appearance. The interior of a home should not just look clean, but smell as fresh and clean as possible. If there are cat litter boxes, have the litter changed frequently, even daily. Subtle air fresheners – or, better yet, the aroma of freshly-baked goods – are excellent additions to the fragrance of a clean home, but don’t mask unpleasant smells (pets, moldiness, dampness) with strong perfumes. The most enticing environment is as clean and fresh as possible. Refresh areas that require attention. Paint or touch up where needed. Clean drapes, wash curtains, dust frequently, and polish all furnishings. Pets are wonderful, but there shouldn’t be obvious signs of their activities: vacuum up pet hair, clean up litter boxes (and keep in discreet places), and keep feeding areas clean and tidy. Replace any burnt out light bulbs, dust off lampshades and glass globes where needed. Organize bookshelves and closets, drawers, and cabinets. When showing a house for sale, clutter is never your friend! Neatly arrange items and tidy up areas, stacking boxes and arranging shoes and clothing in an organized fashion. The floor should be scrubbed and waxed frequently, particularly with heavy use. All tiles should be clean and shiny and grout should be cleaned and bleached or, if needed, replaced. Mirrors should be shiny and clean. All bathroom surfaces should be clean and free of soap scum, mildew, hard-water stains. If grout and/or caulking can’t be cleaned or bleached, replace as necessary. Arrange and clean cabinets and drawers. Replace shower curtain and bath mats if needed. Walk through your house with a critical set of eyes, trying to note areas that may lessen the positive impact of the home. Fix, replace, or rearrange anything that negatively catches your attention. Try to anticipate what a buyer will notice or find potentially objectionable. You know your home better than anyone and intuitively understand how to present it in its best light. Check all doors to make sure they don’t squeak or stick. Listen! Are there objectionable noises that need to be addressed and fixed? Remember, a menacing, barking dog can make buyers uneasy and nervous. Keep your house temperature set at a comfortable level. You may personally prefer it too hot or briskly cool, but potential buyers may not! Lighting makes a critical difference. Are rooms well-lit? Do lamps have appropriate bulb wattages? Check the views out of all windows in the home and remove items inside and out that may hinder or lessen the visual impact of the view.